Call SERVPRO of Americus 24/7 at 229.928.3440 for ALL of your water mitigation needs. If flooding occurs and affects your Americus home, you want the assurance that the professionals that you reach out to have the skills and appropriate equipment to remove this threat quickly from your home. While widespread flooding can often come with disastrous effects for your property, our professionals can help to remove the damaging excess water quickly so that our team can get to work on the rest of the restoration work that your property needs to return to preloss condition. When a natural disaster affects your home, you need a fast response to the situation with flood extraction equipment that can eliminate the rising levels of flood water within you Americus home quickly. 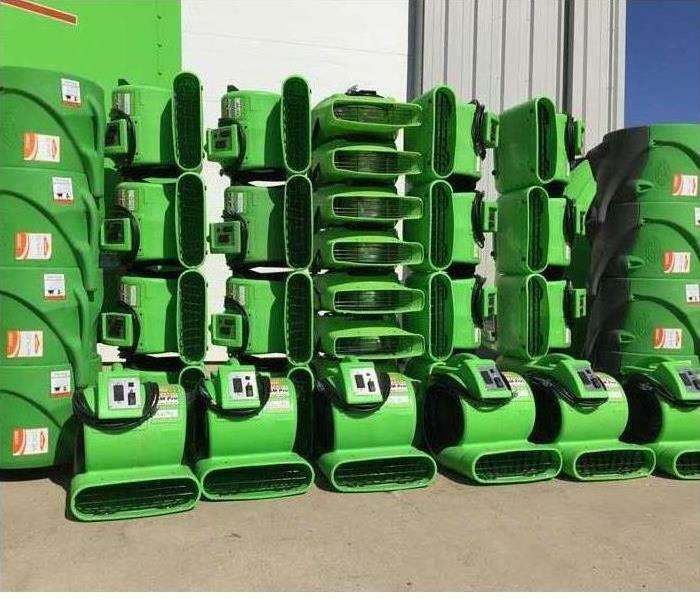 Our SERVPRO professionals have many different levels of extraction equipment ranging from handheld machines capable of getting into areas with accessibility issues to massive pumps that can remove high volumes of water fast to protect unexposed areas of your property. Call SERVPRO of Americus at 229.928.3440 24/7 for all of your water mitigation needs. 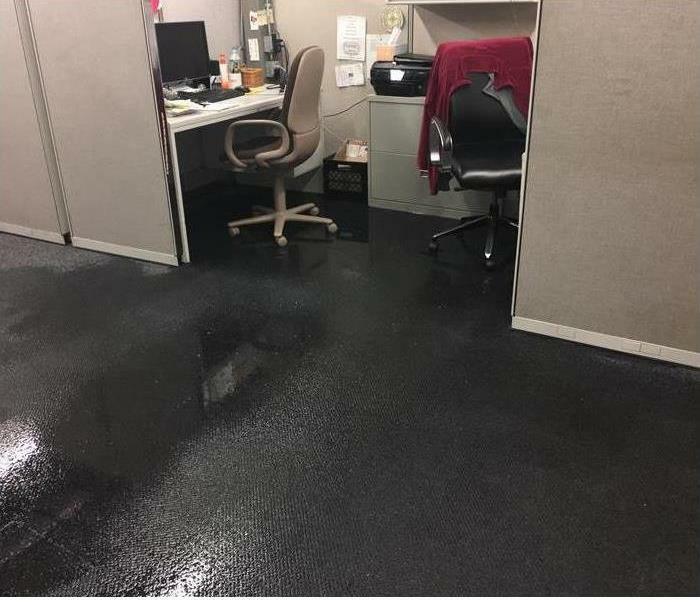 If you experience a water damage in your Americus, GA business call SERVPRO of Americus for Water Mitigation at 229.928.3440. On Monday morning, An employee at a local business arrived in the office early as usual. She was always the first one in the office. As she went to her cubicle her feet squished. She looked around & she saw that the carpet and surrounding area was completely wet. She called the office manager. The manager knew what to do, call SERVPRO of Americus. The SERVPRO crew arrived quickly and they immediately went to work. They extracted the water and set up drying equipment. The production manager monitored the loss and when he determined the area was dry, he arranged to have the carpet cleaned. The manager requested that the carpet cleaning be done after hours so the business would not be interrupted. Everyone at the Americus business was very happy when things were back to normal. If your business has water damage, please call SERVPRO of Americus at 229.928.3440 to assist you. Keep Calm and Call SERVPRO of Americus at 229.928.3440. As part of the SERVPRO brand everyone recognizes us as the leaders in Fire, Water and Mold, but did you know that we are so much more? Here at SERVPRO of Americus, we are continuously working to expand our service lines to incorporate a variety of cleaning and remediation offerings. What does this mean for you? This means one vendor, for all your needs, whether it’s an emergency situation or standard cleaning and maintenance we can handle the job from start to finish. One line of communication and one seamless process. That’s our goal and our vision for our customers. We continually discover new ways to help our customers based on their needs. We like to say, “if it needs to be cleaned, we can do it. If we don’t currently offer that service, we will figure it out!” We have the experience, the capabilities, and the technologies to help both residential and commercial clients. 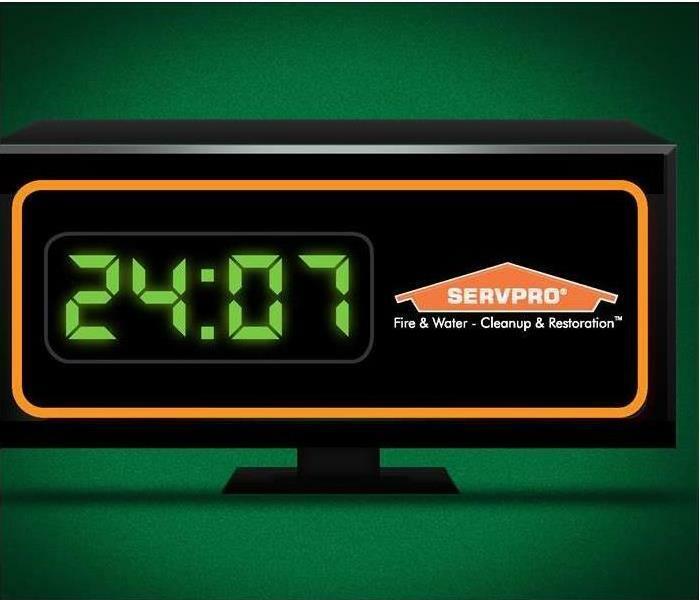 If you have questions about our full-service line, give SERVPRO of Americus at 229.928.3440. Call SERVPRO of Americus at 229.928.3440. When you choose SERVPRO of Americus, you are not only choosing the nationally recognized leader in the industry. You are choosing hometown help from your locally owned franchise. We not only work in the Americus area, we live here. We aren’t just taking care of a customer, we are taking care of our family, friends and neighbors. It’s about more than a professional image. For us, it is a very personal reputation on the line. We truly care about every customer and making them feel like a priority is always our number one goal. We are active members in the community both as a business and as an organization that participates in civic and charitable causes. To us, reputation is everything and we can’t build that if we accept anything less than the best. Our goal is to be the hometown helpers that you can rely on when the unexpected occurs! 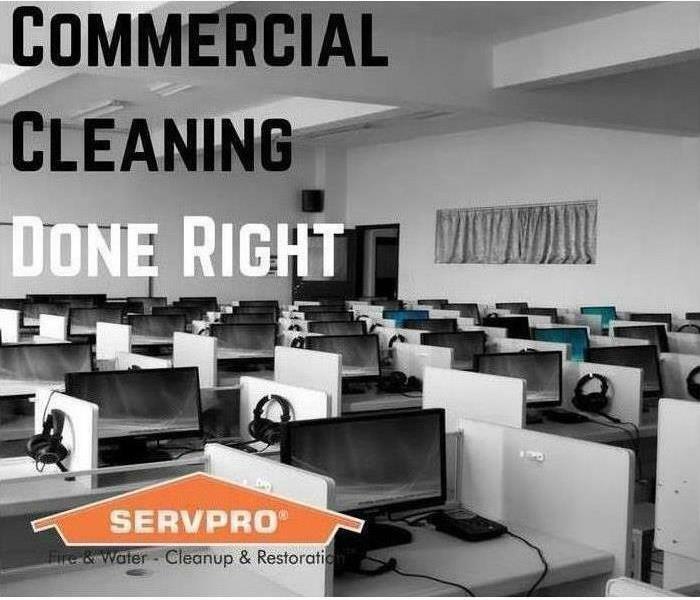 Call SERVPRO of Americus for your commercial cleaning needs at 229.928.3440. When it comes to cleaning your office or commercial workspace, having a regular janitorial service is great for the day to day maintenance, but for heavy duty situations you really need an expert. Whether it’s carpet and tile cleaning, duct cleaning or deodorization SERVPRO of Americus can get the job done. Everyone knows we are experts in cleaning up after fire or water, but we are also highly trained in the specialized training that our commercial clients require. 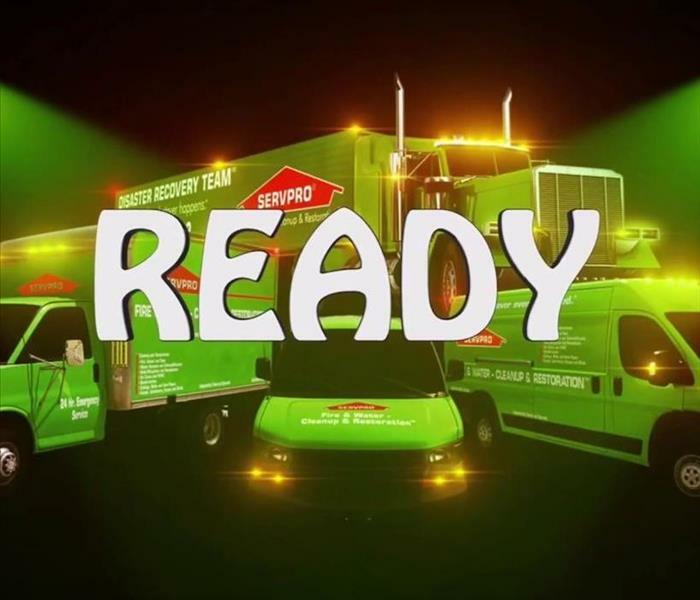 At SERVPRO of Americus, we have worked hard to set ourselves apart as the experts in commercial cleaning. As we like to say, “If we haven’t cleaned it or don’t know how to clean it, we will figure it out.” This approach to continually learning new skills to meet the needs of commercial and industrial businesses has led us to expand our services and gain experience to truly be the best at what we do. From industrial warehouses and even textiles from work rigs, we have done it all. Give SERVPRO of Americus a call to find out more about how we can help you get your business in pristine condition. Call SERVPRO of Americus at 229.928.3440 and we will make it, "Like it never even happened." After the fire is out and the smoke is cleared the real work is ready to begin. At SERVPRO of Americus, We are there to help you every step of the way. Everyone thinks about the clean up and restoration that is involved after a fire, but the process is much more involved than you may expect. It is not just the structure that is affected but also personal belongings as well. The first step after a serious fire, is to remove all of the contents and transport them to our climate controlled warehouse. 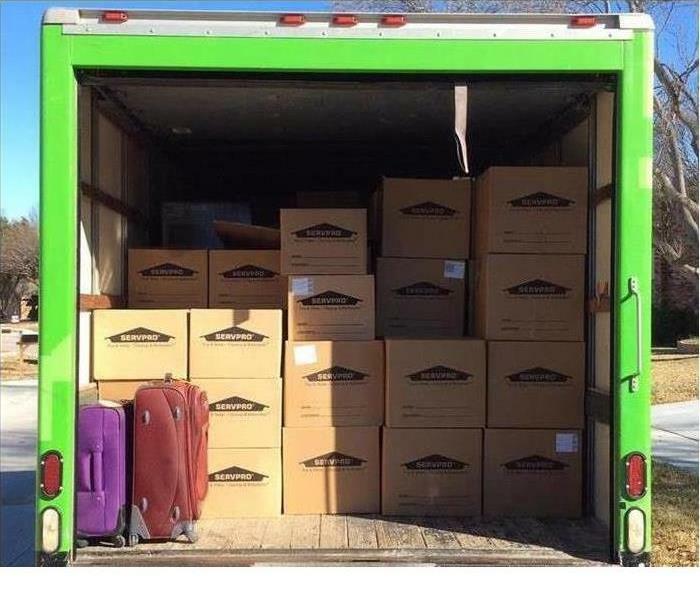 We take photos of your contents and catalog each item as we pack it up. This system means that we know exactly where each item was located in the house and what box it was packed in to. Not only does this allow us to place the items back in the corresponding rooms when we bring it back, but it also allows us to quickly locate anything you may need during the cleanup process. This is just one more way that SERVPRO of Americus is committed to providing the best service to our clients! Call SERVPRO of Americus at 229-928-3440 for your ERP today! Call SERVPRO of Americus at 229-928-3440 for any questions you may have. When it comes to your homeowner’s insurance policy sometimes it is hard to know exactly what to look for when checking your coverage. Many times, the average consumer doesn’t consider all the variables and the multitude of “what if’s” that could occur and cause damage to their home. SERVPRO of Americus wants to help you make sure you are covered BEFORE disaster strikes. One of the most common areas of gaps in coverage can occur in water loss situations. An overwhelming majority of policies do not provide coverage for flood damage that is incurred from “rising water”. This term is how most insurance companies will differentiate whether water damage is covered under the policy. Rising water would be determined to be flood damage and most often only covered if you bought an additional flood policy. Other water damage that would be covered would be water that filled the home as the result of a collapsed roof, broken windows etc. If you aren’t sure of what your homeowner’s policy covers, we strongly encourage you to contact your agent to day and ask questions. Call SERVPRO of Americus for any and all of your water mitigation needs at 229-928-3440. At SERVPRO of Americus, we understand that even a minor water damage in your home can feel like a disaster. You want help and you want it fast! That is why we have systems in place to ensure that you receive the fastest response when a water loss strikes your home. Our first responders will arrive onsite to assess the damage within in one hour and we will have crews working to make it “Like it never even happened.” within three hours. Here in the Americus area we are no strangers to flooding. 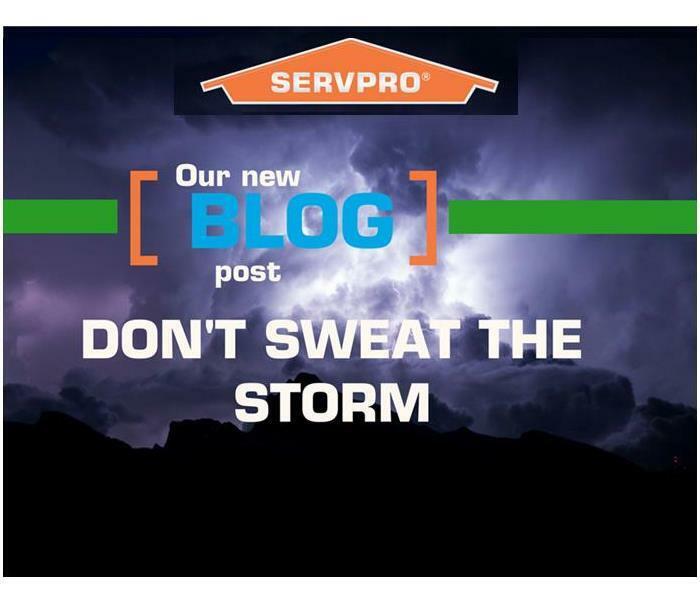 Whether it be a simple summer storm or a tropical system, we have seen it all and SERVPRO of Americus has been Here to Help. Our experience combined with our highly trained team and cutting-edge technologies means that we provide the best service available to our customers. If you experience water damage in your home give us a call at 229-928-3440. If you have ever walked through a home and greeted by a musty odor, mold exposure is possible, even without you knowing it. Even if you do not smell it, your home may have mold damage already working its way through your walls and structure, which may affect your health and that of your family. Mold is present everywhere, so it is not entirely uncommon for it to take hold of your home and leave you in need of professional mold remediation services. 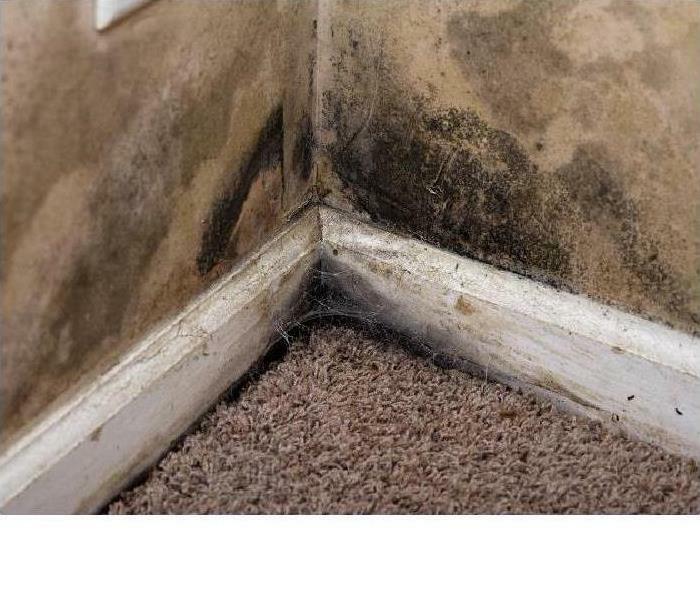 When you encounter MOLD damage to your home in Americus, GA, call SERVPRO and enlist our team’s expertise towards managing and eradicating the presence of mold on your belongings. Moisture is the breeding ground for mold, and the Environmental Protection Agency (EPA) offers guidelines focused on cleaning, discarding and drying moldy items per relevant recommendations. Our team is well-versed on these action steps and is trained to act accordingly. Our professional approach and extensive training are what sets us apart from others. As part of the MOLD remediation process, our SERVPRO team prevents further dissemination of mold spores by utilizing plastic sheeting to act as barriers to contaminated areas. We also seal your vents to prevent your HVAC system from further circulating any unwanted bacteria throughout your home. Once we have removed mold from your home utilizing techniques that recognized as industry best practices, we ultimately proceed to disinfect and deodorize your home, so it is ready for you to enjoy once again. What differentiates our SERVPRO technicians from others, is the variety of approaches available at their fingertips. With mold remediation, in particular, each surface requires a specific method for mold to be removed; e.g., we treat solid surfaces differently than soft ones such as upholstery. To this end, our experts use different methods to achieve full mold remediation in your home. From baking soda blasting to dry ice blasting to hand scrubbing, we employ a variety of methods for your benefit. Above anything else when you face with mold damage, please call SERVPRO of Americus at 229.928.3440 so you may have an experienced and reputable team at your side. We work very hard to make your home "Like it never ever happened." 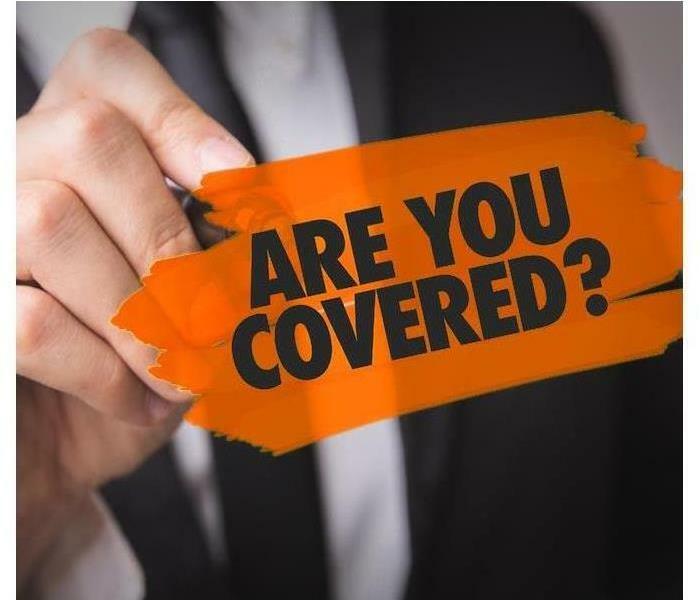 4/4/2019 - Are You Covered?